Republic TV and Times Now do a U turn after claiming Rahul Gandhi will contest polls from three constituencies. The law permits a maximum of two. 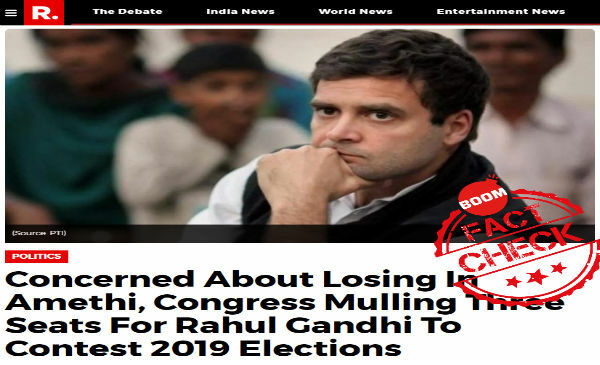 Several mainstream Indian news outlets led by Republic TV and Times Now claimed earlier this week that Rahul Gandhi will contest the upcoming Lok Sabha election from three seats – something that is not permitted under the law. Currently, a contestant can only run from two seats in any election. Arnab Goswami led Republic TV on Tuesday claimed the Indian National Congress (Congress) was mulling three seats for the Congress president to contest 2019 elections. Chinndwara – in Madhya Pradesh, a stronghold of newly installed Chief Minister Kamal Nath. However, Twitter users were quick to point out that a candidate can contest elections from a maximum of two seats as per the law. Republic TV then tweaked its story without a note from the author or editor acknowledging the error. The link in Republic TV’s tweet above now redirects one to an updated version of the article. Below is a screenshot from an archived version of the previous article here. A screenshot of the updated version of the article can be found below. 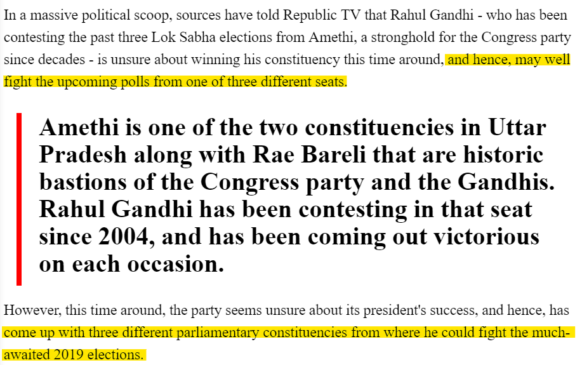 It has been changed to state that Rahul Gandhi may contest from two out of the three constituencies. The story was also picked up by Times Now. Mid way through its coverage Times Now called speculation around three seats an online rumour. It also paved the way for some political comments on the issue, as done by the finance minister of Maharashtra who said Gandhi was welcome to contest in Nanded, lose and return. Times of India also reported the story. An archived version of the coverage which can be found here. 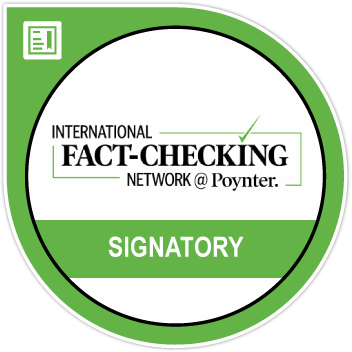 However, the newspaper issued a clarification online on January 23. Congress president Rahul Gandhi could contest the Lok Sabha polls from as many as three constituencies, if some reports are to be believed. 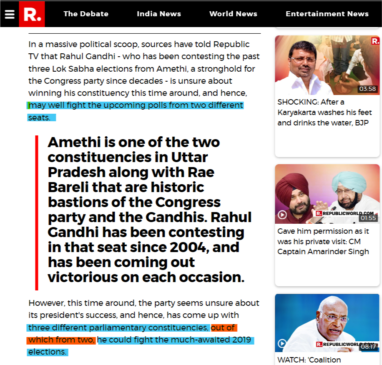 A report citing the Republic TV article was written by fake news website PostCard News, which can be found here. This acts lays down the criteria with which MPs and MLAs can contest elections, and deals with all the nuances related to election in the country. The Act can be found here. The restriction of contesting from two constituencies/seats also exists for elections to the Rajya Sabha, election to the Legislative Council (Vidhan Parishad) and during by-elections. Former Prime Minister Atal Bihari Vajpayee contested the 1957 Lok Sabha elections from three seats on a Jan Sangh ticket – Balrampur, Mathura and Lucknow, since there were no restrictions then on the number of seats from where one could contest. Amendments made to this Act in 1991 restricted the numbers of seats to two, which can be read here as reported by IndiaKanoon. LiveLaw also reported of the EC stating to the Supreme Court that they are moving towards permitting contestants to run from only one seat – and that if a contestant runs from two seats and wins from both; the contestant shall bear the expenditure of a by-election in the seat vacated by him/her. 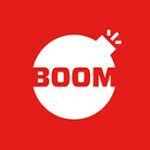 BOOM has reached out to the Election Commission for clarification on this story and shall update this story upon hearing from them.